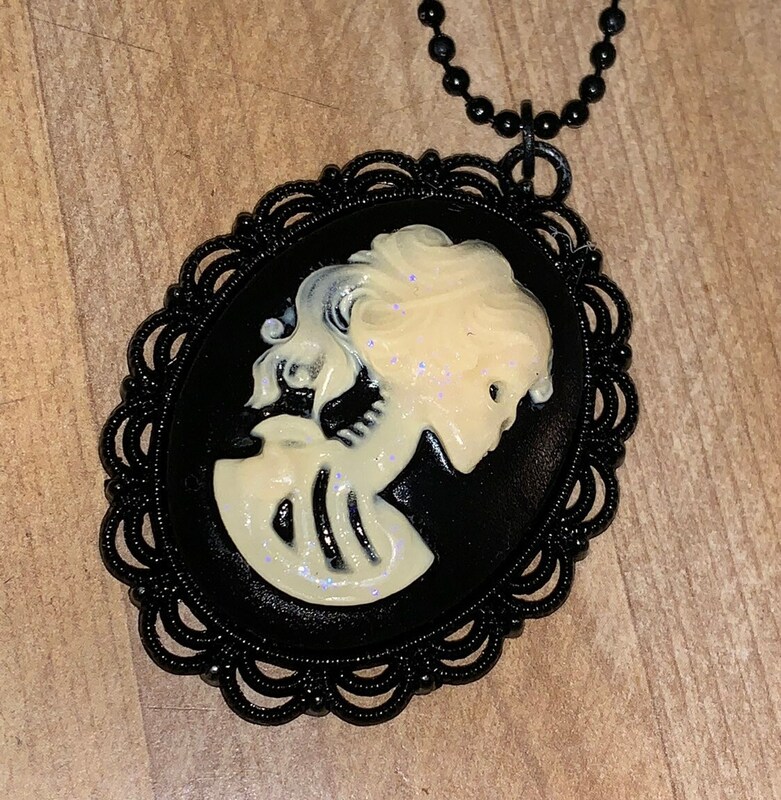 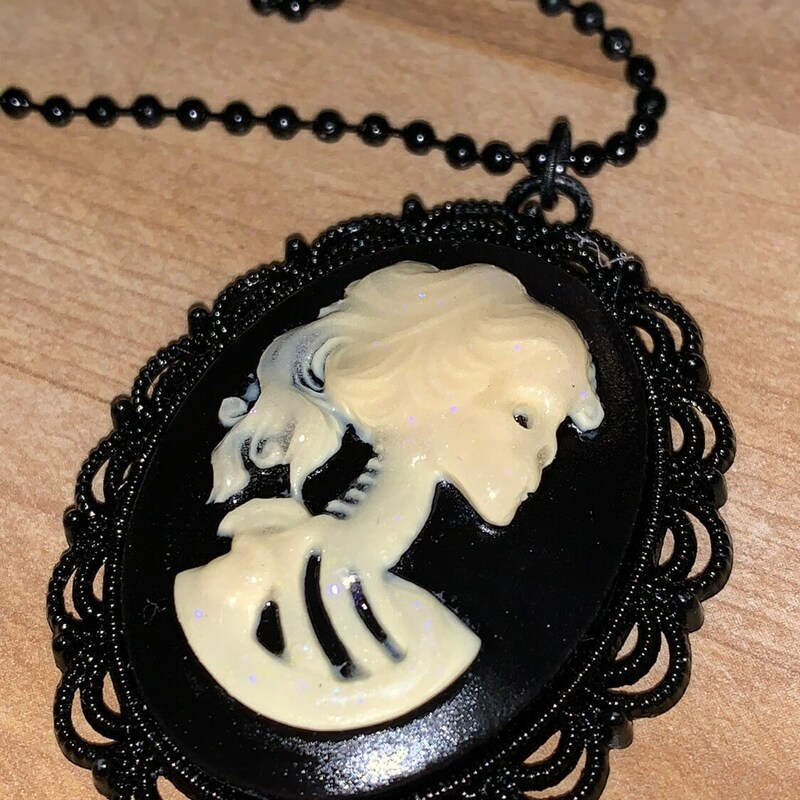 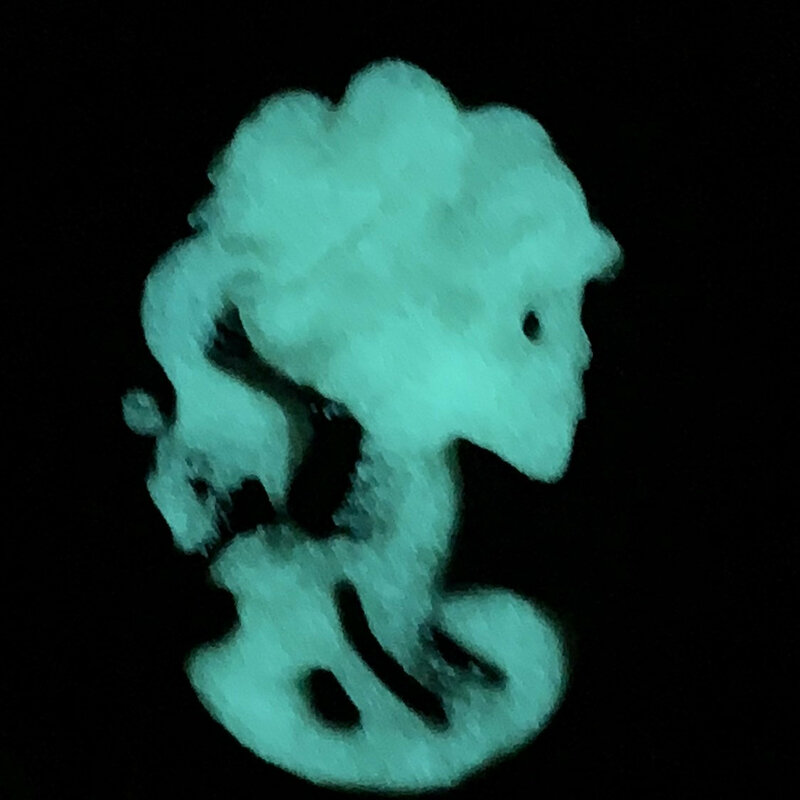 Antique Black/Ivory Cameo Pendant Necklace Glows in the Dark! 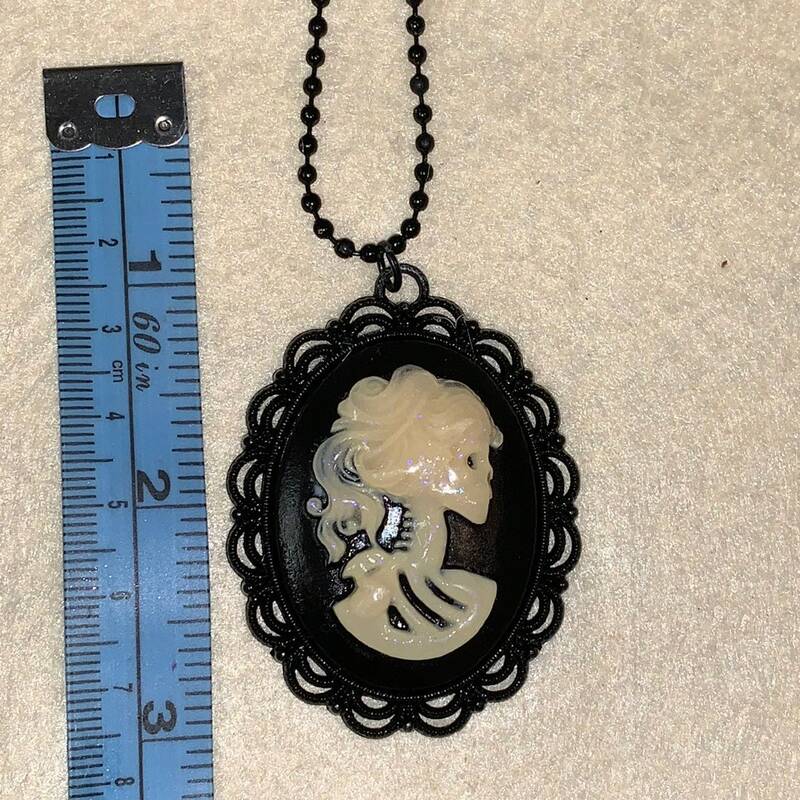 31” Black enameled ball chain (2mm). 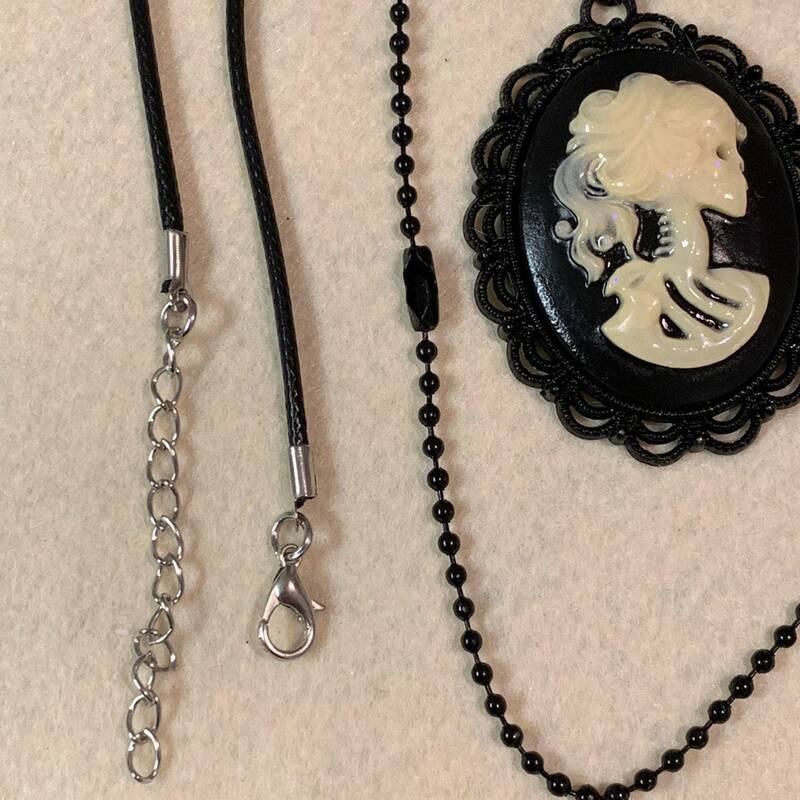 18” Black Cord with silver lobster clasp and 2” extender chain. 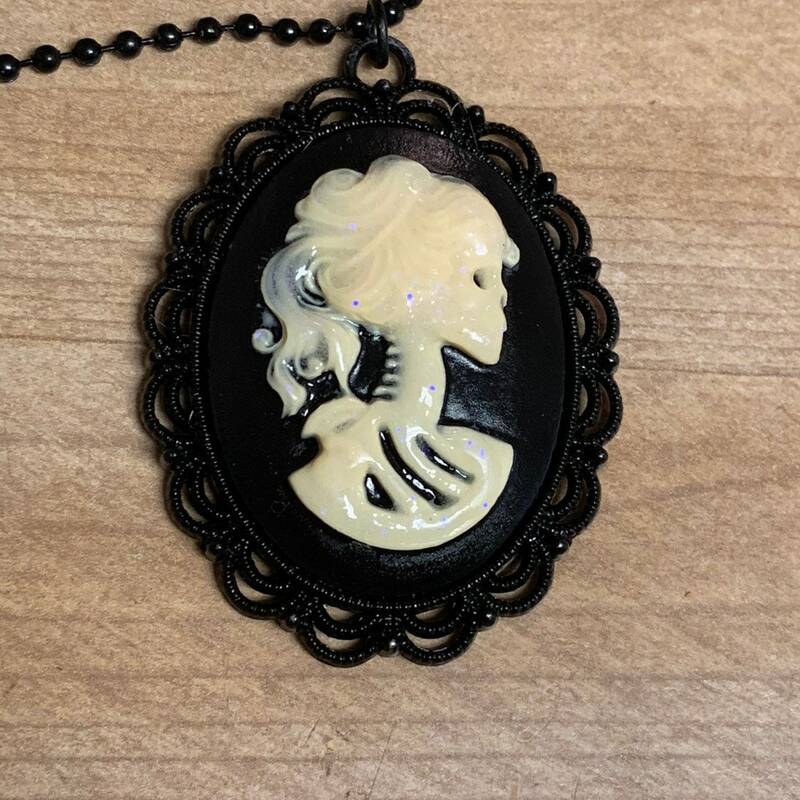 Comes in a small kraft gift box, ready to give as a gift - or to keep for yourself.